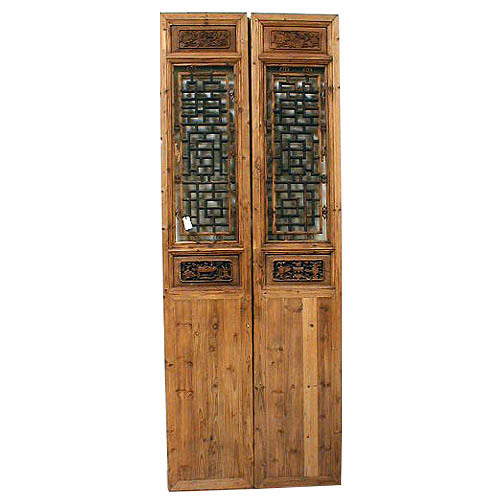 This pair of tall doors have beautiful and elaborate carvings on the inserted panels. It is also carved with the sought-after Double-Circle motif, a graceful and auspicious motif found on some of the 17th and 18th century old Chinese furnishing and architectural fragments. 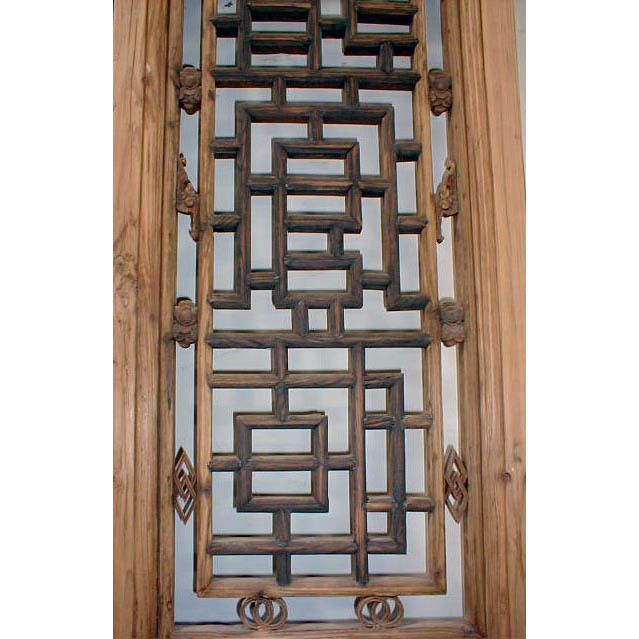 Since Jan 2004, architectural doors and windows are difficult to obtain due to China's effort in salvaging the finest antiquities available domestically, and also because of the abundant newly rising museums seeking for the stock. They are great investments of life-time aesthetics for your home. Age: 150-250 years old. Finish: Natural finish. Dimensions: 19" x 2" x 104.5"